Is Your Driver’s License Enough for Domestic Flights? Here's why you might want to bring your passport to the airport after Jan. 22. Maybe you’ve seen news reports about changes to identification laws for boarding a domestic flight. And maybe you’ve been confused by those reports — with their mentions of deadlines, extensions and fuzzy state-by-state decisions. If you live in a compliant state, you don’t have to rush out and get a new license before you fly; you can wait until you must renew your license, or October 2020, whichever comes first. Want to play it safe? If you have a passport, bring it along if you fly after Jan. 22. Wait, back up. Why is this happening? The Real ID Act, passed in 2005, requires states to meet higher security standards in how they process applications for licenses and identification cards, as well as how they design and issue the cards. Implementing the act has been tricky. That’s in part because the federal government set the standards, but it’s the state governments that must meet them. The Department of Homeland Security has been enforcing the act in phases. Tracking those phases and deadlines — and, in many cases, extensions — can get confusing. The next significant deadline is Jan. 22. After that, licenses from states that haven’t met these standards or been given an extension to do so may not be accepted by federal agencies, such as the Transportation Security Administration. How will this affect me and my travel plans? You don't need one of these standardized licenses to drive. And you can always use a passport or one of these other forms of identification to pass through TSA. But if you rely on a license for air travel, you eventually need a Real ID to board airplanes. 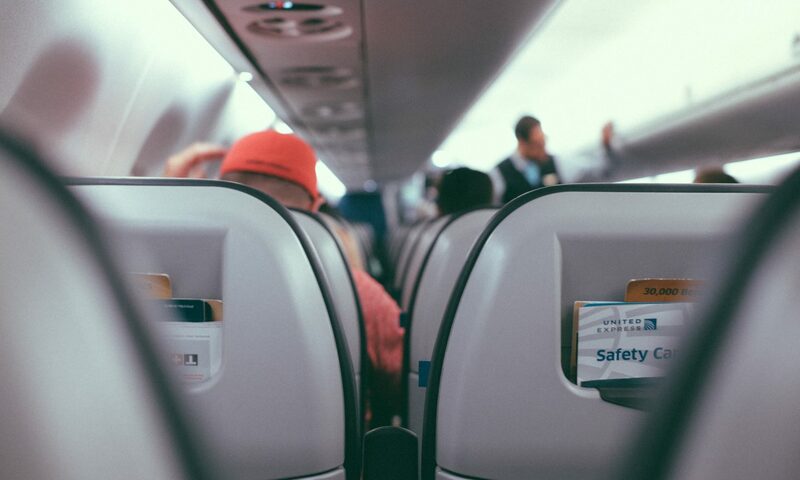 If your state is compliant: You can use the license in your wallet to board domestic flights until the ID expires or until Oct. 1, 2020, whichever comes first. If your state has been granted an extension: Homeland Security may grant an extension to states that aren’t compliant but that have “demonstrated that they’re on their way to compliance,” says Justine Whelan, assistant press secretary at the DHS. If you live in one of these states, you can keep using your driver’s license to board domestic flights until Oct. 1, 2018. If your state doesn’t become compliant or receive another extension by then, the TSA may not continue to accept your license. » MORE: When is the best time to buy airline tickets? Note that Homeland Security may renew an extension if, according to the DHS website, “the state has provided adequate justification for continued noncompliance.” If the extension expires without renewal, the DHS may grant a short grace period before licenses are no longer accepted. If your state is under review: Right now, Homeland Security is deciding to either grant these states another extension or confirm their compliance. The department has until Jan. 22 to do so. After that date, the TSA may not accept noncompliant licenses from those states. But the situation won’t necessarily come to that. For example, although Michigan is currently “under review” on the DHS map, Fred Woodhams, a spokesperson from the Michigan Department of State, expects the state to be fully compliant or get another extension before Jan. 22. Representatives from other “under review” states expect they’ll get the signoff for compliance or an extension before the upcoming deadline, too. If you live in a state that’s being reviewed, visit the website of whichever branch of state government oversees motor vehicles. (Names vary from “department” to “office” to “bureau” of motor vehicles across states.) Search those sites for Real ID information, and you’ll likely find that Jan. 22 will come and go without disrupting your travel plans too much. For example, the New York Department of Motor Vehicles offers this resource for residents. The federal and state governments have been rolling out the Real ID Act for years, so compliance deadlines “are a surprise to no one,” Whelan says. “States have planned accordingly for these upcoming changes for years.” The best thing you can do now is to pay attention, she says. Visit the website of the state branch that oversees motor vehicles to see whether you should take any steps to renew your license. If you live in a state that’s “under review” and want to be extra safe, bring your passport (or consider applying for one) to ensure smooth travels going forward.